Have you ever experienced a dream like no other, but had no one to tell it to? 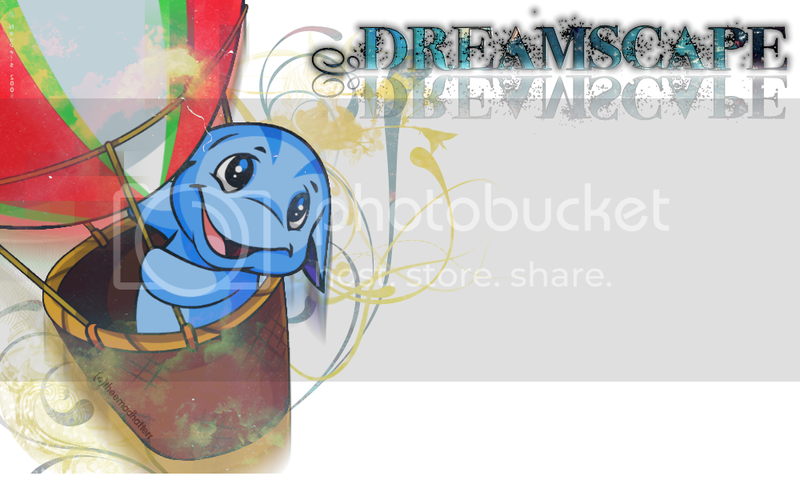 Dreamscape is a place to tell you dreams to other people. It is fairly simple to use. All you have to do it neomail me (Grandpa) your dream, and I'll put it up here for you. * My interpretations should not affect your life or how you view it. My interpretations may be completely wrong, so do not take them seriously. They are just for fun. Rowan (ixinnia): I was playing in the field with my friends, and I had my Pikachu resting on my shoulder. The bell rang. Everyone except me ran inside. Pikachu jumped down from my shoulder and said "Pika-pi!" to notify me of the coming storm. I ran inside, only to find the entrance was blocked. I tried climbing through a window, but it was locked. Every window was locked, and every entrance was blocked. Pikachu used Thunderbolt to open a door, but it unfortunately had no effect, and it bounced back at him. I tried to break through, but instead, nothing happened. Then, I saw Buneary, who came to help me. Buneary used Dizzy Punch on the door and it opened. I got inside with Pikachu and Buneary, and then captured Buneary. The wind was blowing fairly hard on a cold winter day. Kids were building snowmen and hiding in the pine trees. I stood there, cold and alone, with no friends to accompany me. The principal didn't let me bring Pikachu to school anymore, as he caused too much damage with his Thunderbolt and Iron Tail moves. Avery, the meanest boy tried to taunt me. I got fuming mad, and wanted to knock his teeth out. However, being a more gentle girl, I didn't do that. Instead of crying like I normally would, though, I brought out my energy blade, and gave him a light blast of energy with it. The Condor approached as Aerrow, Piper, Radarr, Finn and Junko all came out of the Condor on their Skimmers. I high-fived Piper as she landed, then took a ride on her Heliscooter so I could get back to the Condor, and then left for Atm0s. There's a large forest with a river running through it; on one side there are humans and on the other side there creatures who look suspiciously like gray lupes that walk on two legs. The lupes wear feathers around their necks, ankles and wrists and look very...tribal. The lupes and humans hate eachother; one lupe, however, falls in the river, nearly drowns and is saved by an old human woman. The only way I can think to describe her is witch doctor-y. She hides him in her home and slowly introduces him to the human world by dressing him up so you couldn't tell he wasn't human and saying he was sick so he had to wear all these clothes...and then it got really weird. They went bowling and the bowling balls were big red pyramids and while the old woman was getting pizza the lupe struggled to play a word game with some kid because his gloves were to thick for him to easily pick up the words...but that could have something to do with my alarm clock half waking me up around there. There was this huge tree in this huge field with birds and bees and various other flying things (but mostly birds and bees) flying in and out and around it. One rather extravagant-looking roadrunner-like bird dropped out of the tree and walked away from it; soon the grassy fields became a desert...and then the bird saw a cow skull and I woke up screaming. I really don't know why. I was a penguin in a sun hat and I was shopping in a flea market with my mom. ...Which is a really weird beginning for a dream that made me cry a lot. Anyway, we went in a store that sold little figurines, and for some reason I got very angry at her and began throwing them at her. At first she thought I was just playing and threw them back at me (like a snowball fight), but when she realized I was throwing them because I was angry she looked really sad and left the shop. I felt sorry and went outside and I couldn't find her. Then I woke up and went and woke HER up and kept her up for the rest of the night. I have a reoccurring dream about being trapped in a motel with [icky and gross] zombies. I had a dream not too long ago that my friends and I were jogging up and around a mountain with dumbells. At the end of the hike, we were freakishly buff and muscular. I had a vision of me, older, standing in front a big crowd. I was preaching something that the crowd was really into. There was crying, hands raised, people praying, and it was beautiful. Singing songs, preaching amazing words, I just wanted to give that to someone. The joy in my heart needed to be given to others. One time I had a dream where I was making pancakes for my family in a suit of armor. It was like something out of a horror film. The rustling of the leaves, the clock striking midnight. Then a hand touched my back. I turned and tried to scream. Then my throat goes dry. The person behind me is the Dreamer (I don't know how else to describe him) and he motions for me to follow. We walk away, hand in hand, into the darkness. We start walking by my memories and dreams. Then he turns and holds my hand with both of his. He waves and then I woke up. Creepy, no? I was in my town, at my local dog shelter. Then the most annoying person in my school goes and buys me a dog. Then I read about some dog stealer on a website. Then my new dog vanishes. I am now very sad and I go on this whole mission to find it, and it turns out that annoying kid was the stealer and that was my revenge for being mean to him. But I was never mean to him, ever! And then the dog has puppies and I give one to him. I was at school with my friends. I think I was in a grade above me. Anyway, then on the announcements, my paniced principal says, "teachers, go to channel 2. now." so they turn on the tv and there is some person who put 500+ atomic bombs underneath earth's crust, and that we were all gonna die. then we all start panicking, screaming, and taking cover. when the bomb starts ticking loudly, everyone is telling me, "Turn off the bomb Niku! DO IT!!!" And I'm like screaming "HOW???" And then my bff says, "hit the button!" So I woke up, and hit the snooze button on my alarm clock that had been beeping for the past minute. I am falling down a red hole, and it gets redder and redder and redder until it cant get any more redder! Then there is a guy on the floor, standing next to a fridge, open the freezer part, and pulls out buffalo wings, then says, "You know, these just dont taste like they used to, I woke up one morning, and they were disgusting!" then he put them back in the freezer, and when he closes the door, I fall again, except now it is blue and bluer and bluer, then there is a guy standing next to a washing machine, he takes clothes out and says, "These are never as soft as they used to be" puts them in again, then I fall agiin, into yellow and yellower and yellower, and I wake up. I once had a dream that a friend of mine came up to me when I was sitting at the park on a bench. For some reason, she was really fat, and she asked me to hold her fat for her. I said sure, and magically her fat was transferred to me. I was then transported to an elementary school play ground where little kids were chasing after me, trying to poke my fat. I had this thing called a flutesaber. I ran all over my town. Then this person tells me to go into a tunnel,and I loose my flutesaber. then a scary face pops up in my mind and I wake up finally. You mean this isn't yours?! All dreams are to their respective owners. Do not harass them, or make fun of them because of their dream. Thank you. Well, well. A new layout. Like it? I found a guild that has the same exact name as me. It's inevitable says Yuko.